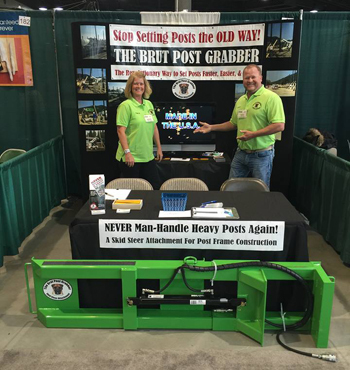 The Brut Post Grabber was designed by Scott Cook, the owner and operator of his own pole building business for the past 15 years. Scott grew up in the pole building business, and just knew that there had to be an easier way to set a post in the ground. It's the most effortless and safest way to set a post! It just makes sense - you will agree: It's About Time!